Jewish Agency Chairman and former refusenik Natan Sharansky calls on world to stem wave of anti-Semitism. Jewish Agency for Israel Executive Chairman Natan Sharansky released a statement in response to the recent wave of anti-Semitic incidents in the US and around the world. 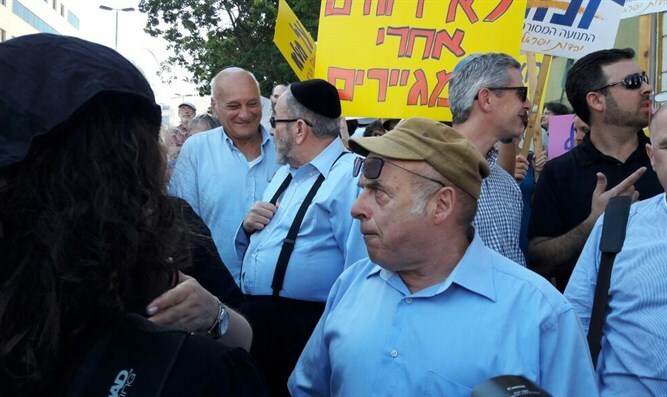 "I am deeply concerned by the wave of anti-Semitic attacks and threats that has been sweeping across the United States in recent days and weeks," Sharansky said. "If ever there was a line between the anti-Semitism of the far right and the anti-Israelism of the radical left, the demonization of Jews and the demonization of their state, it no longer exists. "These two ugly phenomena feed on one another and both run counter to the foundations of democratic societies in Europe and America. It is high time that all who hold democratic values dear put their political differences aside and band together to combat these expressions of hatred and violence. "I trust that U.S. authorities will act resolutely to find those responsible, bring them to justice, and prevent such incidents from reoccurring."